I'm more behind in posting than actually Flowers. Here are weeks 10 and 11. Week 12 is due tomorrow but I only have the inner petals finished. This is the first time I've been behind on the flowers. 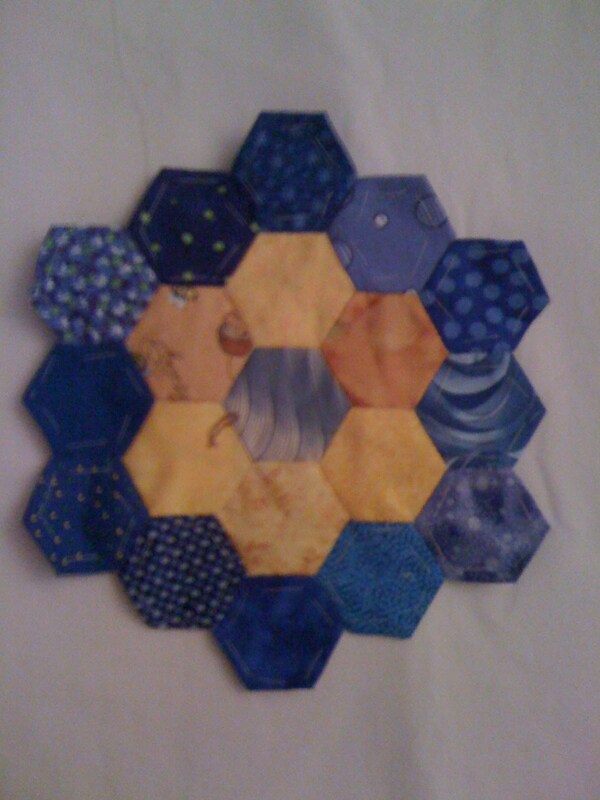 Though the novelty of the hexi's have worn off a bit, I'm still commited. I spent the weekend visiting my grandmother in the hospital so this project just became a bit more personal. What amazing prints! 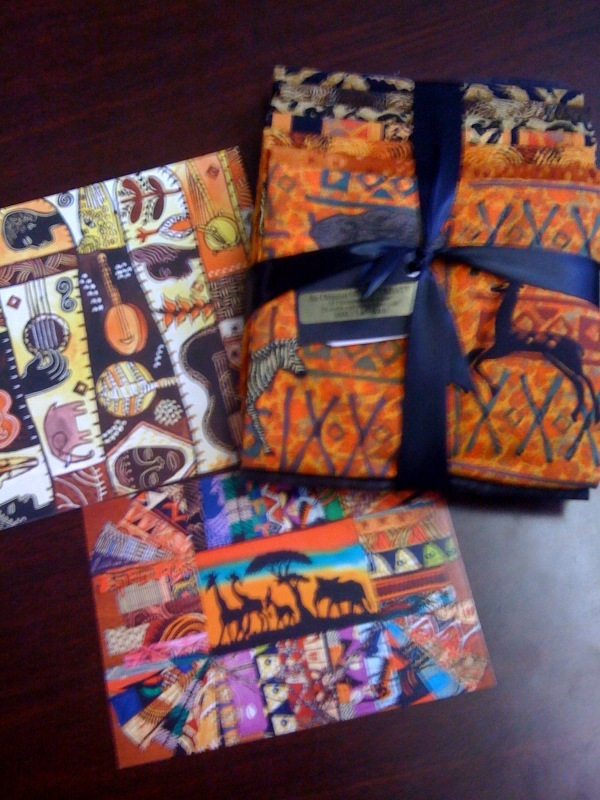 Is was addressed to both of us and it turns out that my intern (who is not a quilter) loves animal prints. 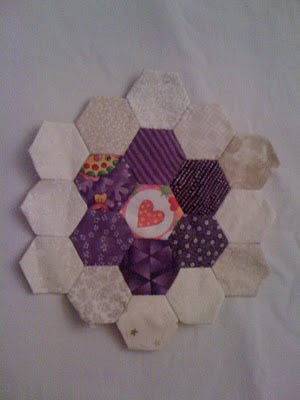 I've promised to use the fabric to make her a quilt. It will be her graduation present from me. Of course, I blurted that out to her before I realized that graduation is less than 9 weeks away. Oy.